UPDATE: I think I have finally figured out how to make the “Like” button work consistently, so if any of Em’s reader’s find their way here, you can now “Like” this post. Em Lehrer is the author of a novel, a movie script, and several short stories. 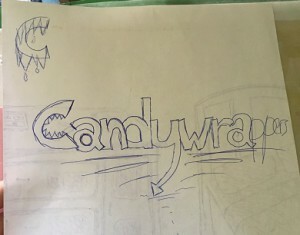 She is working on her novel Candy Wrappers, the first book in The Gravestone Chronicles. 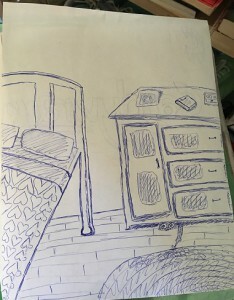 She has also has a fun blog that’s oriented toward writing. In particular, check out her fascinating author interviews section, but watch out for the addiction factor; I almost got sucked into archive-gorging there for hours. I recently had a chance to throw some interview questions at Em. 1. What writing habits are most effective for you? Writing habits are tricky. When I get into it, I find myself writing for an hour or two every day, usually at the same time every day. Then, if I skip a day, I’m thrown off and I need to force myself back into the habit. I always find that having a word count goal per day helps me keep on track. If I know how many words I want to get down in the document, then I have something to work towards, and I’m able to stay more focused in my hour or two of writing per day. 2. Do you have any advice about the craft of writing for writers or aspiring writers? I think the most important advice is to remember your own voice. Every writer has a slightly different writing style, and that’s what makes them special. It’s okay if your writing doesn’t read like your favorite authors, that’s what makes it unique. Another thing to remember is that no writing is perfect on the first try. Don’t get discouraged because your first draft isn’t perfect. Edit and rewrite and work on your manuscript until you think it is perfect. Then get an outside opinion or two. You learn through your mistakes, and every attempt at writing is another lessoned learned. 3. What’s a fact about you that your readers might be surprised to know? This is a tricky question… I don’t think there is much about me that is surprising. 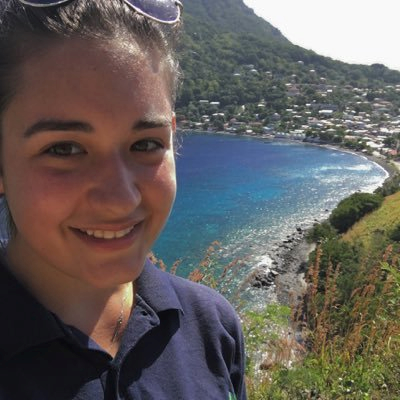 The most interesting thing about me at the moment is where I live; which is in Dominica, a small island in the Caribbean. I’ve been here for four years and am moving back to the USA this fall for school. 4. Tell me about your current working novel, Candy Wrappers, the first book in The Gravestone Chronicles. What was the original idea behind it? 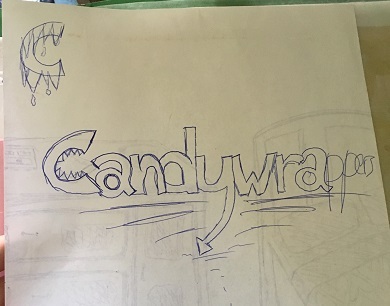 Candy Wrappers has been a work in progress for a long time. I originally had the idea back in sixth grade, when I drew a picture of a monster creeping out from under a cabinet and grabbing a candy wrapper from under a rug. The idea has much evolved since then and I started writing the actual manuscript in March. The running idea is a girl (currently named Malia, but that may change) goes to her summer home after the murder of her parents to say her final goodbyes. While she is there she discovers that demons may actually exist, and they may be the real reason behind the death of her parents. Most of my stories start with a plot, which more often than not comes to me at some random time for no apparent reason. I do my best to develop the plot first, and the characters and setting etc. fall into place. When I’m actually writing, I do my best to watch my writing. I tend to get very ‘heavy’ and do my best to keep my writing ‘light’ (if that makes any sense at all). Other than that I just let the words flow and fix up anything I don’t like in the editing. 6. What’s the best thing about writing/being a writer? Probably the fact that I can create anything I want and bring it to life through words. I think that writing is like magic; absolutely anything is possible. That, to me, is amazing. 7. What reaction(s) do you hope your work inspires in your readers? There is nothing in particular I try to instill in my readers. My main hope is that readers enjoy my writing, and are able to get lost in the world that I have created (in a good way of course). Thanks for the interview, Em!